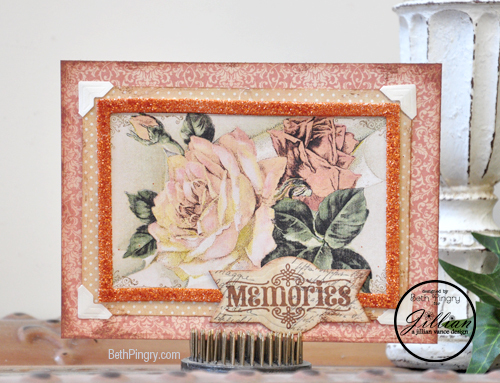 I posted instructions for it at Memories Card – Please click over and check it out. I used the Charming Photos stamp and die set (given to me for DT work) and Scrapbook Adhesives by 3L (3D Foam Frames, Creative Photo Corners Ivory, E-Z Runner Permanent Strips Refillable), Graphic 45, Ranger Ink, & Clearsnap. This entry was posted in A Jillian Vance Design, Card, SCRAPBOOK ADHESIVES BY 3L and tagged a jillian vance design, Card, Clearsnap, Graphic 45, Ranger Ink, Rose, SCRAPBOOK ADHESIVES BY 3L, Wear Your Adhesive on the Outside. Bookmark the permalink.